Leon Max Lederman (1922-2018) was born in New York to Ukrainian-Jewish immigrants. After serving in World War II, he returned to work on a PhD in physics at Columbia University. He would become a distinguished physics professor there before taking a leave to join the world-renowned CERN in Switzerland. There, he discovered the muon neutrino in 1962. For this, as well as developing the “neutrino beam method”, he would later win the Nobel Prize in Physics. Lederman also discovered the bottom quark. 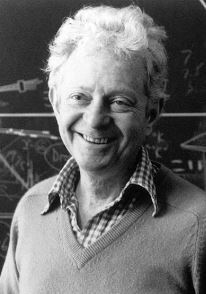 In 1979, Lederman became the director of the prestigious Fermilab, running the world’s most powerful particle accelerator. After retiring in 1989, he was an occasional teacher at the University of Chicago and the Illinois Institute of Technology. He was also president of the American Association for the Advancement of Science. In 1993 he published his bestselling book, The God Particle (coining that now-famous term). 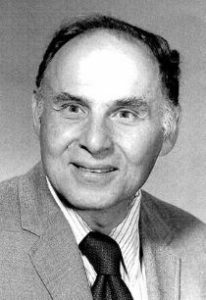 Lederman won countless awards and inspired a generation of physicists. Sadly, he was diagnosed with dementia, and the illness took a toll on both his health and his finances. He was forced to sell his Nobel Prize gold medal in order to pay for his medical bills. He passed away last week, at age 96. Another 96-year old Jewish scientist who made headlines last week is Arthur Ashkin (b. 1922). He won a Nobel Prize in Physics for his invention of optical tweezers. Like Lederman, Ashkin was born in New York to Ukrainian-Jewish immigrants, and also attended Columbia University. During World War II, he was asked to stay in his lab to build magnetrons for US Army radars. After earning his PhD in nuclear physics at Cornell, Ashkin was hired by Bell Labs. He first worked on microwave technology, then moved on to lasers. After some two decades of work, Ashkin created a working optical tweezer, described as “an old dream of science fiction”. This allows tiny things like atoms, viruses, and cells to be grabbed, moved and manipulated. Today, it is an indispensable tool for countless research facilities around the world. Ashkin also co-discovered the photorefractive effect, and holds a whopping 47 patents. In addition to his many awards, he has been inducted into the National Inventors Hall of Fame. His Nobel at age 96 makes him the oldest person ever to win the prize. An honest man, armed with all the knowledge available to us now, could only state that, in some sense, the origin of life appears at the moment to be almost a miracle. This entry was posted in Science & Technology and tagged Bell Labs, CERN, Columbia University, Cornell, Fermilab, Laser, National Inventors Hall of Fame, Nobel Prize, Nuclear Physics, Optical Tweezers, Physics, Quarks, The God Particle, Ukrainian Jews, University of Chicago, US Army, World War II on October 10, 2018 by Jew of the Week. Bernard Sanders (b. 1941) was born in Brooklyn. He studied political science at the University of Chicago in the 1960s, and was a leader of the Civil Rights Movement on campus, for which he was once arrested. After graduating, he spent some time in a kibbutz in Israel. In 1971, Sanders joined the socialist, anti-war Liberty Union Party. He ran for governor and senator many times, but never won. In 1981, he was elected mayor of Burlington, the largest city in Vermont. Sanders brought Burlington back to life, balancing the city’s budget, rebuilding its downtown area, and making Burlington the first city in US history to finance community housing. Sanders was an extremely popular mayor, and was re-elected for four terms. He then briefly taught political science at Harvard before finally winning a Congressional seat in 1990. This made him the first independent to be elected to the House of Representatives in 40 years. He served as a Representative until 2007, and as a Senator since then. That makes him the longest-serving independent Congressman in American history, as well as the only Congressman to openly identify as a socialist. 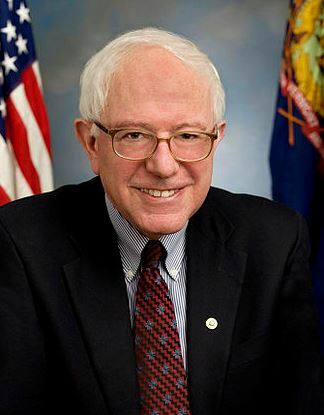 Sanders opposed both wars in Iraq, the bailout of banks in 2008, the NSA, and the unpopular Patriot Act, along with many other bills aimed at expanding government powers. As a member of the Senate Budget Committee, he has focused on “rebuilding the middle class” and is working towards raising minimum wages and social security. He has also been voted the top senator with regards to environmental action, and won an award for his support of war veterans. Not surprisingly, Sanders has won essentially all of his elections by huge landslides, and holds a very high approval rating, making him among the most popular senators in the US. In 2010, following his incredible 8.5 hour speech to Congress that focused on helping the disadvantaged, many began urging Sanders to run for president. On April 30, 2015, he finally announced his candidacy. True to his beliefs, he rejected large “Super PAC” donations, and said he will finance his campaign through small individual contributions. Within 24 hours of this announcement, he raised $1.5 million through small donations averaging $43. By July 2nd, his campaign already raised $15 million through 400,000 donors (nearly triple the number that Obama had, and in less time). The day before, his speech in Wisconsin was attended by over 10,000 people, making it the largest turnout thus far for any presidential candidate. Among other issues, Sanders’ platform is focused on wealth inequality, “getting big money out of politics”, free university education, Wall Street reform, media reform, and investing in more renewable energy sources. He is now considered a top candidate for winning the presidency, which would make him the first Jewish president in American history. A guy named Adolf Hitler won an election in 1932. He won an election, and 50 million people died as a result of that election in World War II, including 6 million Jews. So what I learned as a little kid is that politics is, in fact, very important. This entry was posted in Law, Politics & Military and tagged American Jews, Brooklyn, Burlington, Civil Rights Movement, Congress, Congressman, Harvard, House of Representatives, Iraq, is bernie sanders jewish, Liberty Union Party, NSA, Patriot Act, Polish Jews, President, Senate, Senate Budget Committee, Senator, Socialist, Super PAC, University of Chicago, Vermont on July 21, 2015 by Jew of the Week.